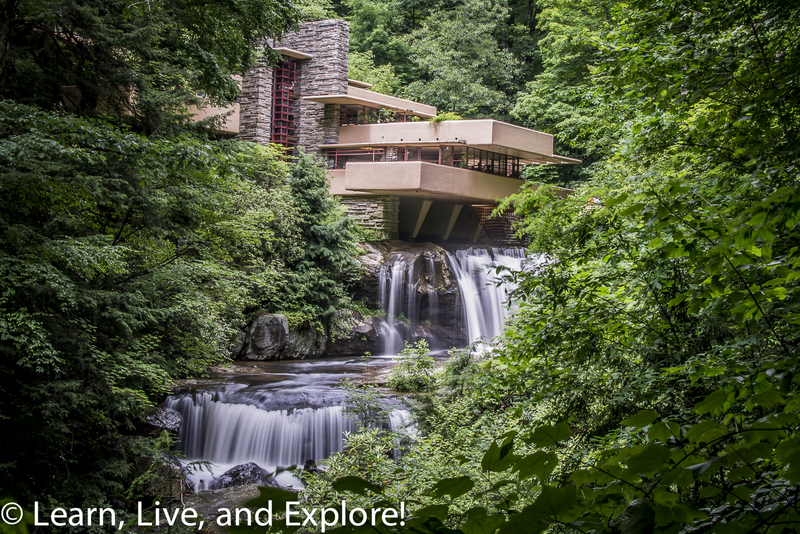 Frank Lloyd Wright's Fallingwater ~ Learn, Live, and Explore! 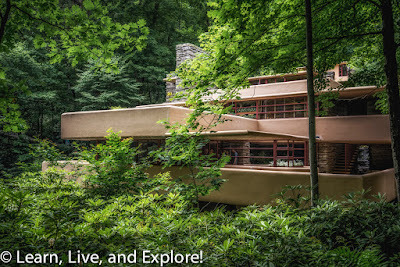 Buried in the forest of Eastern Pennsylvania is probably the most iconic building designed by renowned architect Frank Lloyd Wright. A strong believer in organic architecture, Wright created Fallingwater such that it incorporated natural elements into the building materials and has walls that are actually built into the rock along the river canyon. 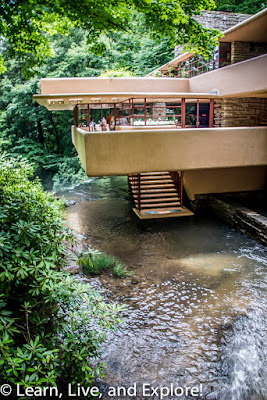 Then, of course, are the distinguishable cantilevered, staggered levels that project over the cascading water of Bear Run. Fallingwater was a design commissioned by the owner of Pittsburgh's Kaufmann's Department Stores. Edgar Kaufmann owned the property on Bear Run and wanted to upgrade the accommodation on the land when the cabins began to not meet their standards for a country home. 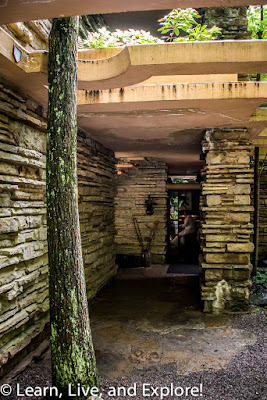 The design was completed in 1936 and construction finished a year later. 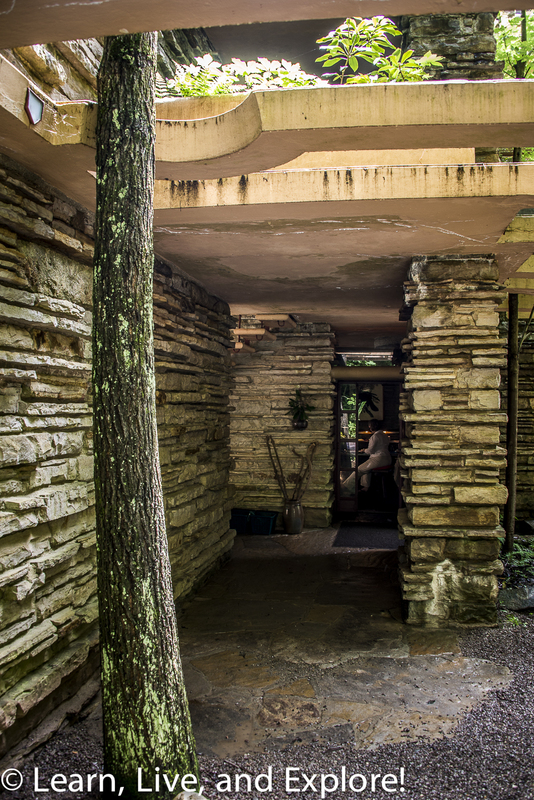 The best way to visit Fallingwater is to make a tour reservation in advance, especially during the high season (summer). I did not do this, so I was limited to a grounds pass that allows you to walk around and next to the house, but just not inside. 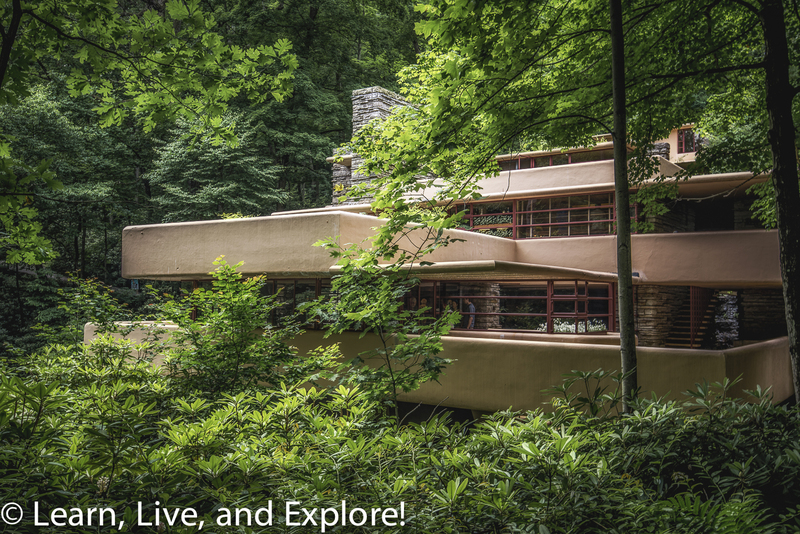 Of course, the numerous windows afforded enough peeks into the interior design. I slight downhill hike will lead you to a gorgeous upstream view of the home. 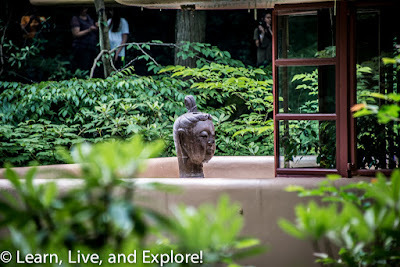 Access to the structure requires you to walk down a path from the visitors center, which is a good walk but not too steep, so keep that into consideration when visiting. What goes down must also come back up! So what do you think? 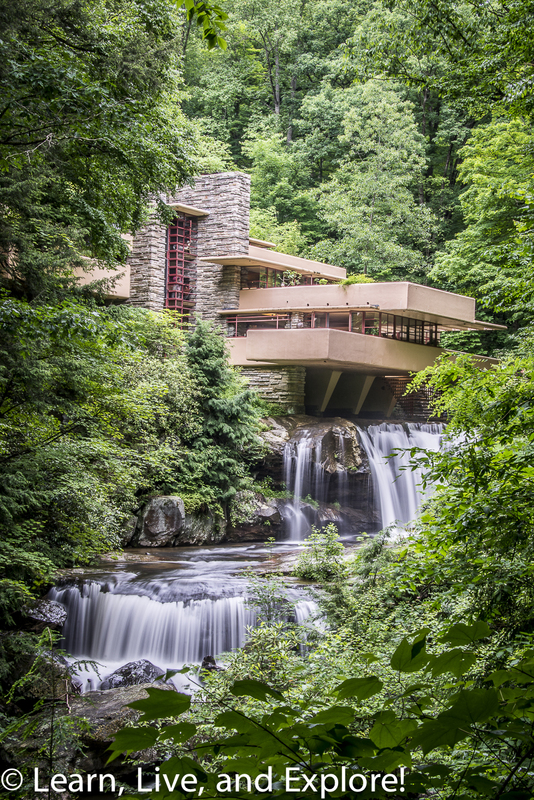 Does this style of architecture suit you?